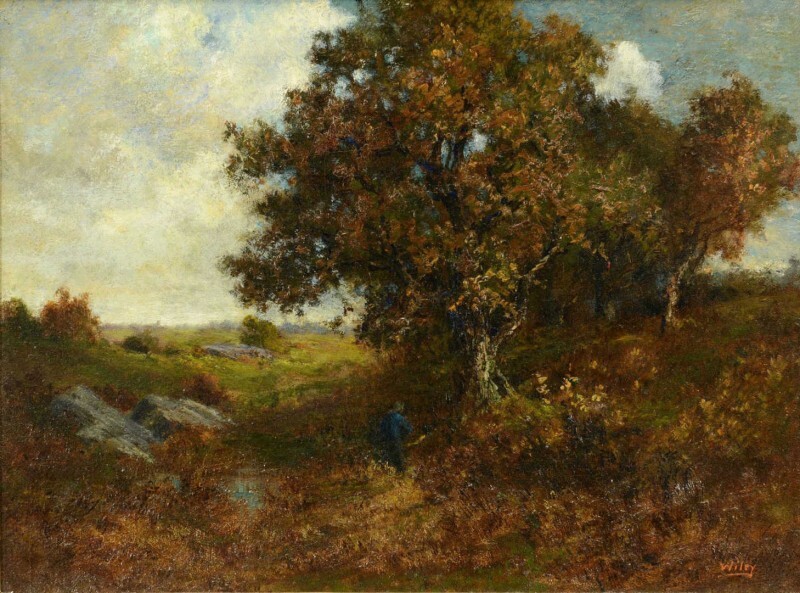 Catherine Wiley was one of the early female art students at the University of Tennessee, and taught art and drawing there from 1905 until 1918. She is credited with establishing formal art instruction at the school, and with making the program into one of the South’s best. While teaching at the university she wrote art reviews for the Knoxville News Sentinel, created illustrations for the Volunteer college yearbook, served as President of the Nicholson Art League, and director of the Fine Arts Department of Knoxville’s National Conservation Exposition. Wiley also studied at the Art Students League in New York under Frank DuMond and William Merritt Chase, and spent summers learning from major American Impressionists such as Robert Reid, Jonas Lie, and Martha Walter. She won two gold medals at the Appalachian Exposition in 1910 for “Most Meritorious Collection” and claimed the prize for the best Southern artist at the Southwestern Fair in Atlanta in 1917. 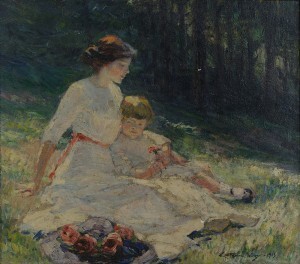 Her paintings often depicting women in picturesque settings with vivid colors and expressive strokes, were exhibited at many prominent venues including the National Academy of Design in New York and the Pennsylvania Academy of Fine Arts. Catherine played a crucial role in developing visual arts in Knoxville as well as bringing attention to Southern women artists. 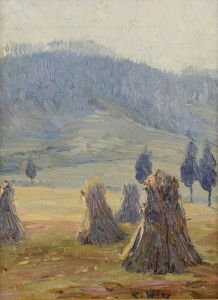 In 1926, after the death of her father (1919) and mentor Lloyd Branson (1925), Wiley suffered a mental collapse which ended her painting career. She remained institutionalized until her death, and is now buried in Old Gray Cemetery in Knoxville, TN.